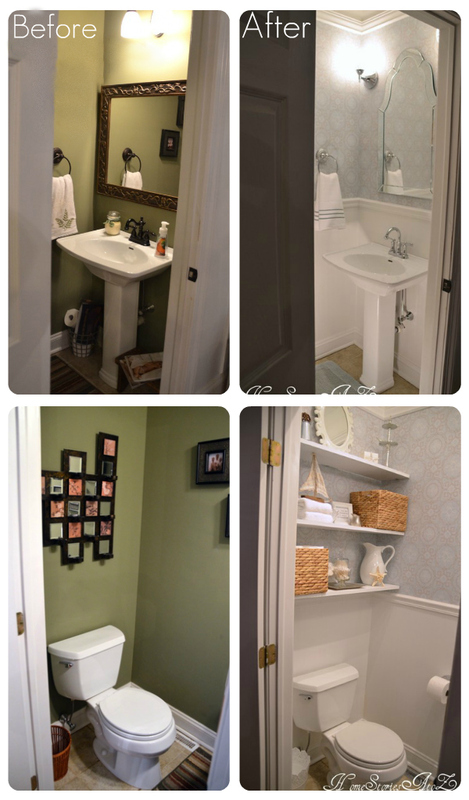 I started out 2012 with a complete update for our half bath which included hanging two types of wallpaper, new hardware and light fixtures, semi-floating shelves, and molding. 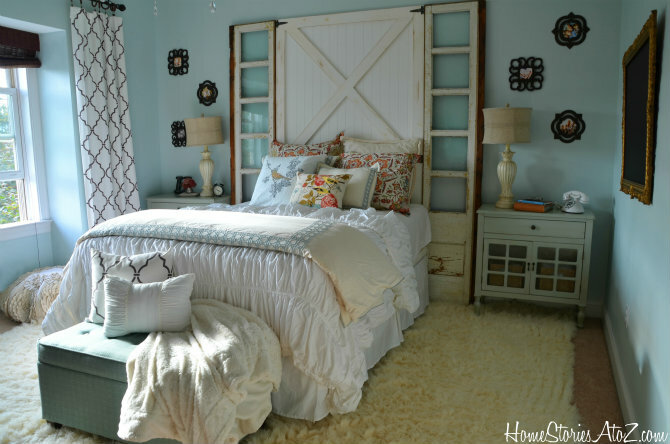 I absolutely love the changes made to this teeny-tiny space! It feels so much larger, brighter, and happier in there with the updates. 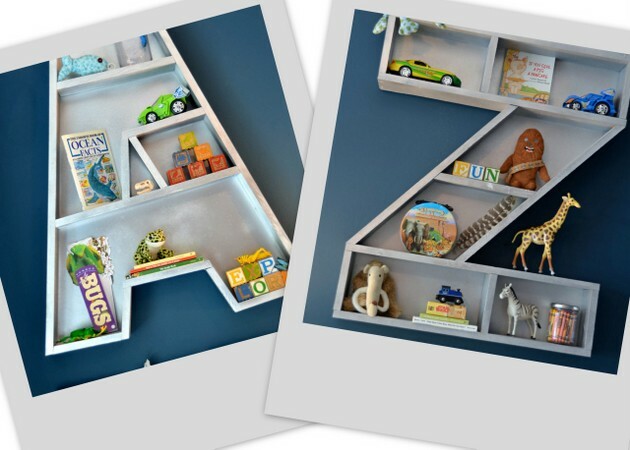 With the help of Ana White, I made some uber cute letter A and Z bookshelves and shared the tutorial with you! This was a challenging project for me and helped me gain more confidence in my ability to use power tools to build. 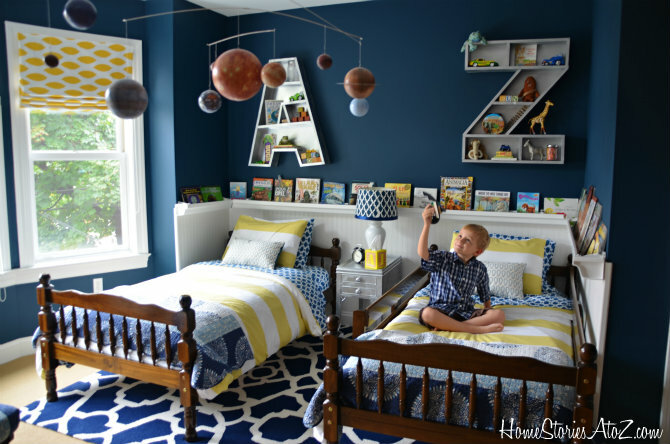 My boys received a bedroom makeover this year which included a TON of DIY projects. 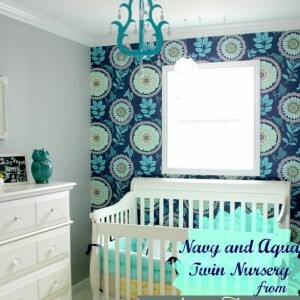 This room makeover was a bit “out of the box” for me and was so much fun to work on. It probably received the most mixed reviews as well. My babies LOVE it which is all that counts at the end of the day :). I love how many of their individual interests and personalities I was able to cram into the room decor. It was probably my most fun challenge of the year. I also was able to spruce up the master bedroom this year. This room seems to get an annual makeover because I can never seem to quite get it “right”. I am most pleased with the current look, but knowing me it will get another overhaul in 2013 :P! I recently built an x-leg ottoman that is simple in design but so cute to boot! This little guy floats around on my first level as a mudroom bench, living room foot-rest, video game stool, and dining room prop. I’ve had fun using the accessory in photo-shoots and in everyday life. My kitchen reveal just made it under the wire for 2012! It was the most time consuming project of 2012 even though I contracted most of the work out. My kitchen received a new faucet, paint color, screen pantry door, and stools this year. I am adding one more major thing to the kitchen which will be my first major DIY of 2013! You’ll have to wait and see :). 2012 was an incredibly FUN year for me in blogging! I am hopeful that 2013 will be every bit as amazing and can’t wait to see what projects we all accomplish together this year. Thanks so much for stopping by faithfully and supporting my passion. I wish nothing but blessings and prosperity to rain upon you this year. Xoxo! Happy New Year! I forgot about that cool planter project. I loved that one 🙂 I think your boys and master are my favs. You came up with so many creative and wonderful ideas and projects last year, Beth! I love that x-leg ottoman, and may have to try a version of that for our living room. I’ve had a hard time finding something that’s the right size, so we may just make our own! Such stunning projects! I have always loved your design style. I like the fresh blues and crisp whites that you’ve been updating with a lot. Have a beautiful and productive 2013! It must be great to be able to look back at what you’ve accomplished over the year and have before and after shots to see the difference. Well done, it looks like you’ve had an incredible DIY year! I am looking forward to see what you do this year. 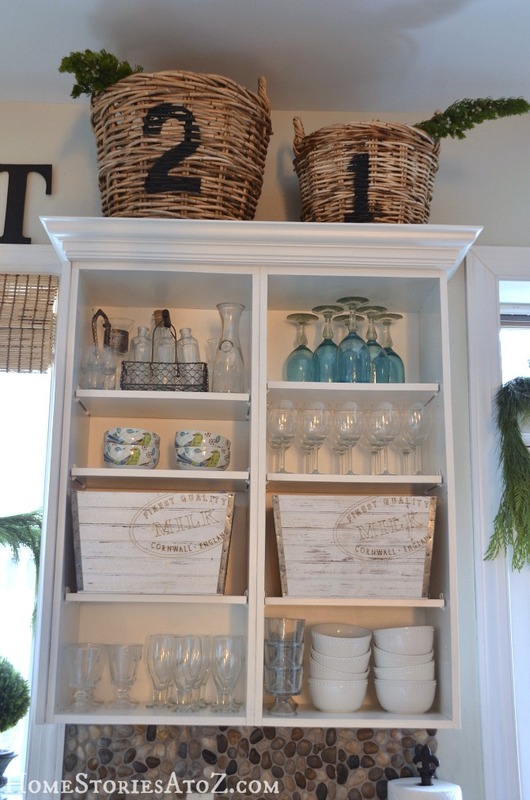 You certainly had some magnificent DIY posts this year!…I so love the A & Z shelves….just loved all the makeovers! 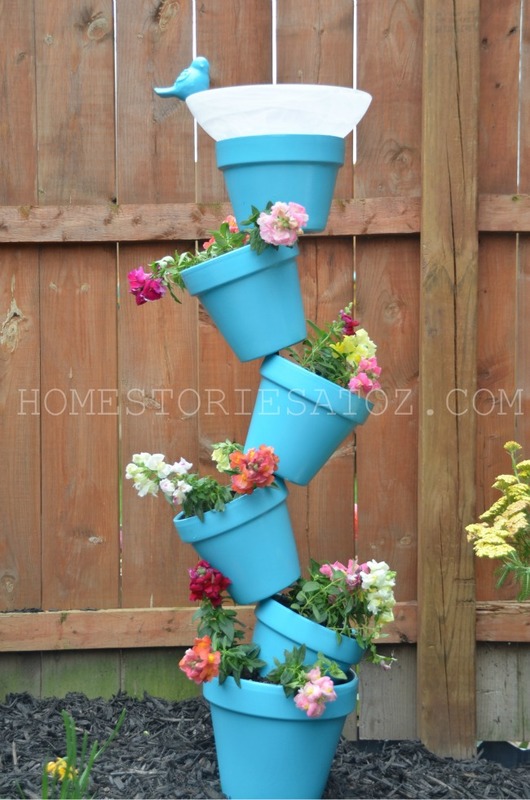 I absolutely LOVE that topsy-turvy planter!! What a cute and unique idea! I Love all of the makeovers you have done, but I have to say on the birdbath, if you are giving a DIY on how to create something, it’s offensive to use the words (most stolen). Oh my goodness, no! Thank you so much Pam for pointing that out. I wasn’t talking about all of those who implemented the tutorial. I was talking about all of the spammy Asian sites on Pinterest that literally stole my pictures and post. I had numerous Asian sites this year take every picture from this post and put it into one big long photo collage, erase my watermarks and claim the project as their own on their own site. I should have clarified :). Simply awesome work Beth! 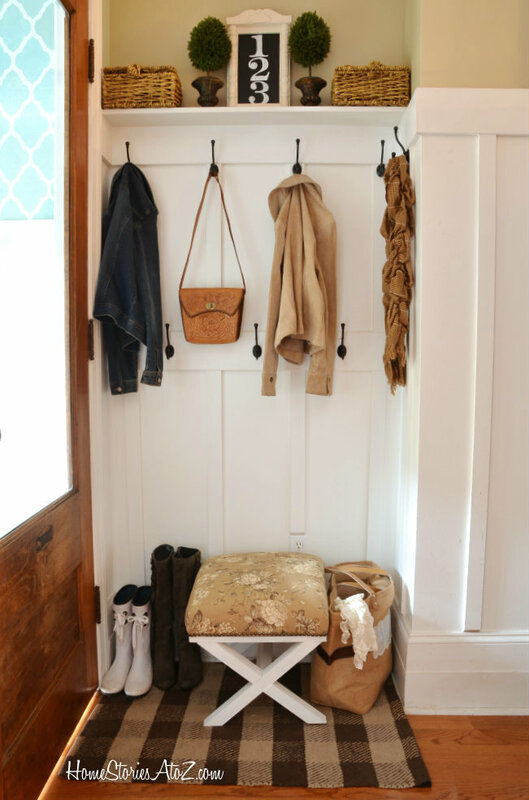 My favorites are your half bath and mudroom area. I love how the split wall in the bathroom with the wallpaper on top looks. I have a very similar half bath which I may have to do this in! Those were awesome. Love your bathroom and bedroom! Dreamy!!!! I want to live in your house!! I have been waiting for this post! I could pin all your pictures. Great job on an incredible year! Wow, you did more in one year than I have done in my home in 7. Incredible. So inspiring. Thanks for always sharing your wonderful projects. How did I miss your kitchen reveal post?! Going to check it out now!! Congrats on a fabulous 2012 Beth!! I love the bird bowls in your kitchen!!! They look like something from Anthropologie!!! You have had such a busy and productive year! Can’t wait to see what you create in 2013!